Let me start by saying I am a huge Google fan and an active user of many of their products. That being said, I am beginning to feel that Google is accumulating too much information. The only upside to the whole situation is of all companies, Google is the only online company I trust to keep my information safe. But that's not to downplay the potential risk tied to the amount of information that Google collects on us daily. In the past, a single website would silo your personal information on their own sites. So one website would store your search data, while another major website might store your chat data. Additionally, a third major company might keep your calendar information. With recent website acquisitions and consolidations, Google now owns a majority of the applications and links all the data to a single user account. The major advantage for Google is they can use your past data to predict your future actions. This is both an advantage and a disadvantage to Google users. It's an advantage because Google can be a super advanced PDA, but a disadvantage because a breach of information is more dangerous. In some cases this beach of information might be the US government demanding your information. So my opinion is that Google is storing all information, to the point that they are a monopoly. But why haven't they been broken up by FCC. In the past, AT&T owned a majority stake in telecommunication and were price discriminating, so FCC broke the up. In my opinion, the combination of Google management being smart enough to learn from the past monopoly breakups and the US courts being slow to catch up with the rapidly advancing online world. The current argument I hear of Google not being a monopoly is that for every one of their products, Google is not the dominating product, instead just a regular competitor. But since Google keeps hidden the information it collects, its difficult to grasp the extent of Google's reach. So the people don't revolt, and neither do the courts and politicians, which are often times paid for my large corporations. Google collects most of the information on us from many of their free services, as listed below. Though I don't have evidence proving what Google collects, this is the information I imagine Google may be collecting. Google Search - collects information on the information you are interested in and find relevant to your daily life. Gmail - collects information on what you deem is most important and personal. The information is stored behind password from other users. Google Drive - collects and stores the files you think are important. In general, cloud storage is the safest place to store your sensitive information, especially since Google is actively backing up files. 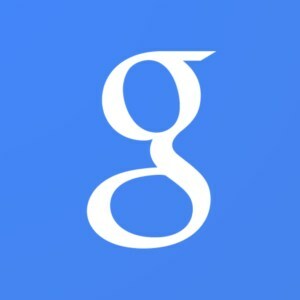 Google+ - collects personal information that you share socially with friends. This includes pictures, which tells Google who you hang out with. Additionally, any page that contains a Google social widget means Google knows you visit the site. Just so you know, Facebook does the same thing. Google Calendar - collects information about your day to day schedule. More importantly, the information on your calendar gives Google insight into your day to day schedule and behavior. Google Chrome - This is an improvement in the data Google Search collects, but this web browser can track your every move on the web, whether you are on a Google website or not. Google Android - The OS for your smartphone can collect information only who you are calling, but also information on where you've been through GPS and possibly the noises around your location. Google Hangout - This is a new product that used to be Google Talk. Unlike your email information, this can track instant messenger chat logs. Additionally, they're building up the ability to track text messages, video calls, and phone calls. Google Finance - Collect information on how interested you are on specific stock information. By knowing what financial information you are interested in investing it, it may give Google information on the next big product. Google Shopping - Google is now collecting information on the products you are interested in purchasing. With Google Shopping Express, they can even deliver your product. Google Hotel - Google can collect information on hotels you want to stay at when you travel. There are probably many more Google products that I use and haven't listed, and even Google products I have not used. A small list can be found at https://www.google.com/intl/en_us/about/products.